PERFECT FAMILY HOME! 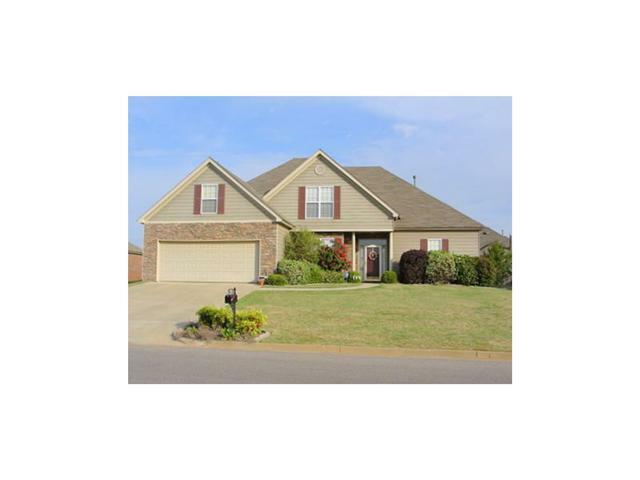 Total square footage under roof over 3000 ft. 4 Bedroom & 3 Full Bath home w/ large bonus room perfect for an Office/Game Room/Exercise Room or guest room located in popular HIGHLAND RIDGE Subdivision. Plan Floor included with Photos. This is the Castlebrook Floor Plan, which includes Crown Molding in the Greatroom, Dining Room, Kitchen, Master Bedroom, Master Bath & Stairway. The kitchen also has tiled floors and tiled backsplash. The large 16X16.5 master has boxed ceilings and French doors that lead out on to the 10'X30'covered porch. The super sized master bath has a jetted tub, separate shower and a large walk-in closet. Garage has cut out corner and a large storage closet, plus several feet of room on either side of two parked cars. Huge fully fenced backyard & Large Covered patio. Energy efficient dishwasher and A/C & heating system. Less than 2 miles to Daniel Pratt Elementary & YMCA. Less than 1 mile from preschool/MDO program as well as several dentist and doctor offices. Shopping, restaurant, movie theatre, park, churches, and bank all within 5 minutes. Wonderful neighbors, tons of kids to play with. School bus stop is 2 houses down. 15 minutes straight shot to Maxwell; 20-25 min to Gunter. Large, gated neighborhood pool.